Director of Music wanted. 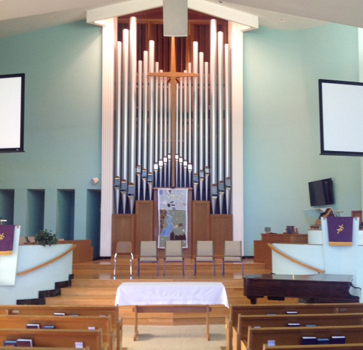 The Jackson First Presbyterian Church of Jackson, Michigan (JFPC) seeks a qualified individual to lead the music program of the church. JFPC has relied on its music program to fashion, support, and sustain worship, Christian Education, and special programs. Pels pipe organ, 52 ranks; 6-foot 1906 refurbished Steinway grand piano; 1980 Steinway concert grand, and another 6-foot Steinway grand; handbells and Orff instruments as well.